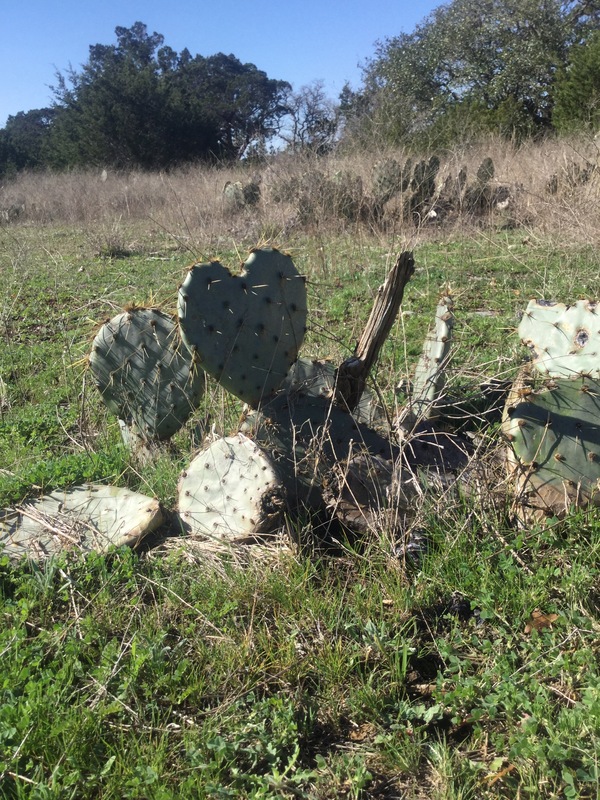 If you’ve never been out to the Balcones Canyonlands National Wildlife Refuge near Marble Falls, then you’re in for a real treat. In January, we ventured out to the Doeskin Ranch Public Use Area for a look at what this public land has to offer. The refuge is approximately 55 miles northwest from Austin and open from sunrise to sunset. It was founded in 1992 to conserve the habitats of the Black Capped Vireo and the Golden Cheeked Warbler; both songbirds listed as endangered species. These species are endemic to Central Texas, brooding once during the spring and migrating south towards Mexico, Guatemala, and Honduras. Even though this refuge was created to protect these songbirds, it’s a great place to see the beauty of the Hill Country’s limestone hills and spring-fed streams. Pulling into the gate of Doeskin Ranch, it’s evident that this hidden gem doesn’t seem to get too much foot traffic. The site and trails are well maintained and rather thoughtful. I’ve always enjoyed trying new hikes and this was no different. The trailhead has composting restrooms that are ADA accessible and a well-stocked information kiosk. The trails available include the Pond & Prairie Trail (0.4 miles), Creek Trail (0.6 miles), Rimrock Trail (2.2 miles), Shin Oak Trail (0.5 miles), and Indiangrass Trail (1.5 miles). While there were only four cars in the parking lot, we never came across other hikers. It was a peaceful walk through a new land. A land I didn’t know, but where I truly felt at home. We started on the Rimrock Trail. While this trail is a 2.2 mile loop, we began on the right hand side planning to loop three trails into one. The trail starts off partly downhill surrounded by tall soft grasses. Within a minute, the trail transforms from crushed limestone to packed dirt and begins to run parallel to the creek. Surrounded by limestone balconies on the right and the sound of a healthy flowing creek on the left, I couldn’t help but smile. That quickly faded as I saw an adult cottonmouth slither into the creek with such haste. I think I startled the little guy, but in such a serene setting, it’s easy to forget that you’re the visitor. Can’t get too comfortable, ya know? Just up ahead we noticed nature’s stepping stones strategically placed in the creek bridging the two banks like a welcome sign inviting you to come inside and see what’s “en el otro la’o.” As we played nature’s hopscotch across the creek, a canopy of Oak and Juniper sheltered us from the wind and sunlight. The trail winds through a small cluster of trees only to emerge into the warm sunlight highlighting the golden prairie with cascading waves of tall grasses. While strolling through the prairie the hill before us drew our eyes upwards and was engulfed by a clear blue sky. The switchbacks on this part of the trail are short and are sprinkled with Twisted Leaf Yucca and Ground Plum Milkvetch, showcasing a small forest of Texas Oak otherwise known as Spanish Oak. Making our way up the the hill we passed a bench where one could rest and survey the short trek you were just on. Once at the top we had the option to continue on Rimrock (head left) or start Shin Oak (head right). The top of the hill is peppered with cacti and yucca with a perimeter of Ashe Juniper. 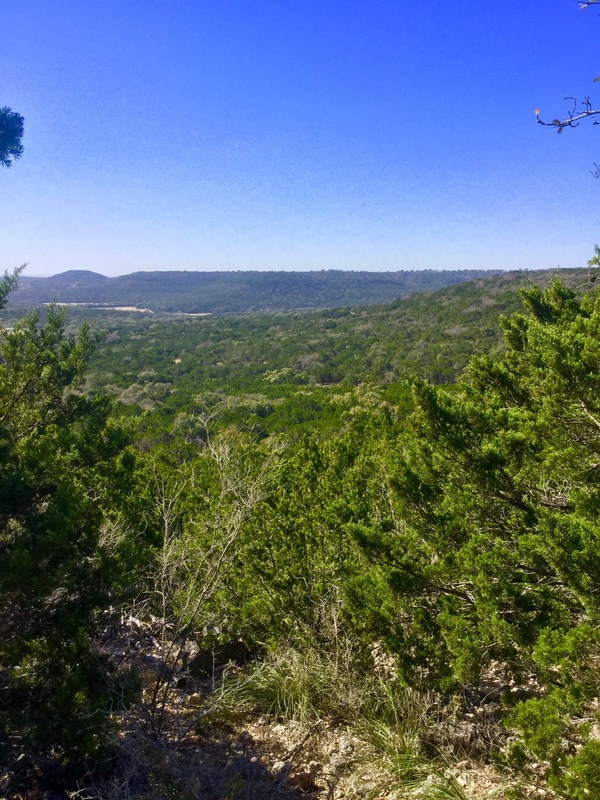 We decided to head right and came across a southern vista of the surrounding lands full of rolling hills covered in Ashe Juniper, Cedar Elm and Texas Oak. The top of this hill isn’t too exciting. At the time of this hike, the park seemed to have recently done some prescribed burning to allow for new vegetation in the upcoming months. As we continued on the walk we stumbled onto the inconspicuous marker for the Indiangrass Trail. This part of the hike was my favorite part. You’d think “Indian grass…what’s so special about it?” Well, let me tell you…It felt like a scene from Dances With Wolves! I understand how that would sound silly to most people. Plus, kids nowadays may not be familiar with this film, but for me it was about being engulfed by prairies of golden waves while watching the wind and grass waltz in perfect harmony, the way the Great Spirit intended. That was absolutely enchanting! I never truly encountered that specific beauty growing up. Yes, I grew up in the Hill Country, and it’s my passion to advocate for the beauty of the Texas hills, but the simple way in which the wind manipulates nature and turns it into a mesmerizing performance is one reason why this experience captivated my heart. There I was, in the middle of this baile de naturaleza courtesy of nuestra Madre Tierra. Continuing on through the Indiangrass Trail, we crossed the trickling creek on a few occasions. There was one moment when I looked back and could see the wind traveling in our direction. It was pretty cool to see the grass fall like a domino effect and hear the sound of the breeze as it blew past us. The trail eventually curves back towards the west entering the Ashe Juniper forest up the backside of the hill. As we entered the canopy we found a fallen down tree trunk which made it easy to enjoy our snacks of jerky, cheese sticks, and craisin granola. From here it was a short trek up the hill where we rejoined the Shin Oak Trail, making our way back to Rimrock and headed towards the parking lot. The trip down the hill was easy and allowed us to enjoy the views of the rolling hills. When we reached the bottom, we decided to take a detour to check out Creek Trail. This very short trail heads north along the creek and this was where I finally found my all time favorite specimen, the Southern Maidenhair Fern. There are plenty of benches thoughtfully placed along the creek at different points where you can enjoy the cool breeze and the sound of flowing water. After our short walk, it was well worth it to take a few minutes out of our schedule to just sit back and relax. Once we decided it was best to head out, we passed a cabin replica with information about the area’s history. What stood out and what I appreciated the most was the wording used on the timeline about the displaced indigenous groups that once inhabited these lands. It never once said that these clans “gave up” their lands or “invited” settlers to move into the area. Thank you, U.S. Fish and Wildlife Service for keeping a relevant written history. While it may seem insignificant to most people, it’s important to us here at Afuera Texas to have our historical narrative heard, too. 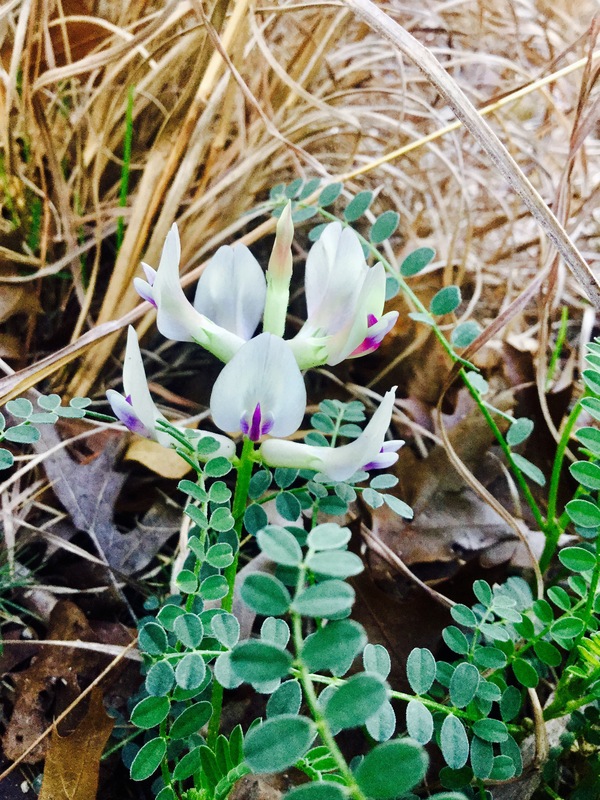 For more information about the Balcones Canyonlands National Wildlife Refuge visit https://www.fws.gov/refuge/balcones_canyonlands to find out more about their trails, wildlife, and upcoming events. View from atop. Near Indiangrass Trail marker.